When Henry VIII tires of pretty young Mary Boleyn, her powerful family instructs her to promote her sister, Anne, as a replacement. But Anne Boleyn, newly returned from the French court, intelligent and spirited, doesn't agree to be Henry's mistress - only his wife. PItting the king's desperation for an heir against his powerful advisors - Wolsey, Cromwell and Dukes of Norfolk and Suffolk - what Anne brings about will change the course of a country's history. 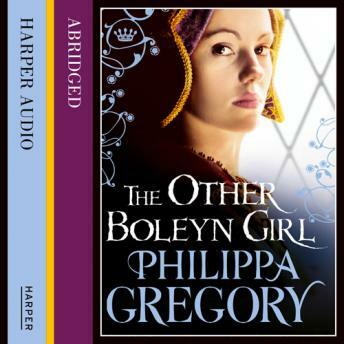 Told with all of Philippa Gregory's characteristic perceptiveness, backed by meticulous historical research and superb storytelling skills, The Other Boleyn Girl brings a legendary court, its politics, personalities and scheming vividly to life.